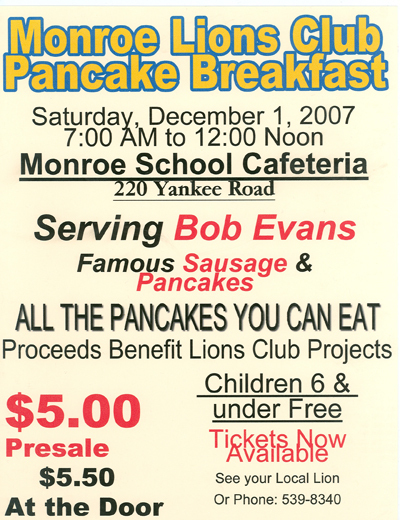 This is the largest fund raiser for the Monroe Lions Club (we also sell roses in the spring). We use all proceeds from our fund raisers to support these and other projects. We strive to be good stewards of your donations and we always try to stretch the dollars we earn as far as they will go. We hope that you will consider supporting our Pancake breakfast this year. Your support has always been greatly appreciated.